In March I defended my dissertation (successfully), and have been keeping busy with a number of things since. 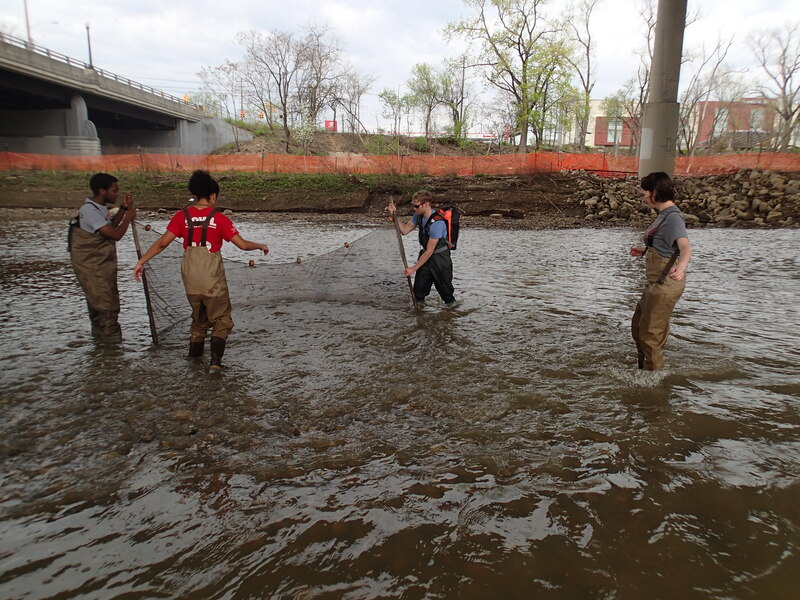 Fish Ecology students collecting fish from the Olentangy River near the 5th Avenue bridge. The second half of spring semester I was the instructor of record for EEOB 5430, Fish Ecology at Ohio State University. I had previously taken and been a TA for this course, so it was really enjoyable to get to teach it as well. The class consisted of a relatively small group of upper level undergraduate students, and they formed a fun and productive learning community. The class implemented a lot of active learning activities through which the students actively engaged in the course material and thought critically about it. We also had a chance to take several field trips; one to the reef exhibit at the Columbus Zoo, the other to the Olentangy River alongside campus. In June I went to Anchorage to attend the annual ABS meeting at University of Anchorage. The meeting had a number of excellent talks and presentations, and I got to meet many great scientists doing exciting things. I gave a talk on a recently published study from the work I (and a lot of collaborators) did in Zambia in 2013 (Ligocki et al, 2015; Behaviour). 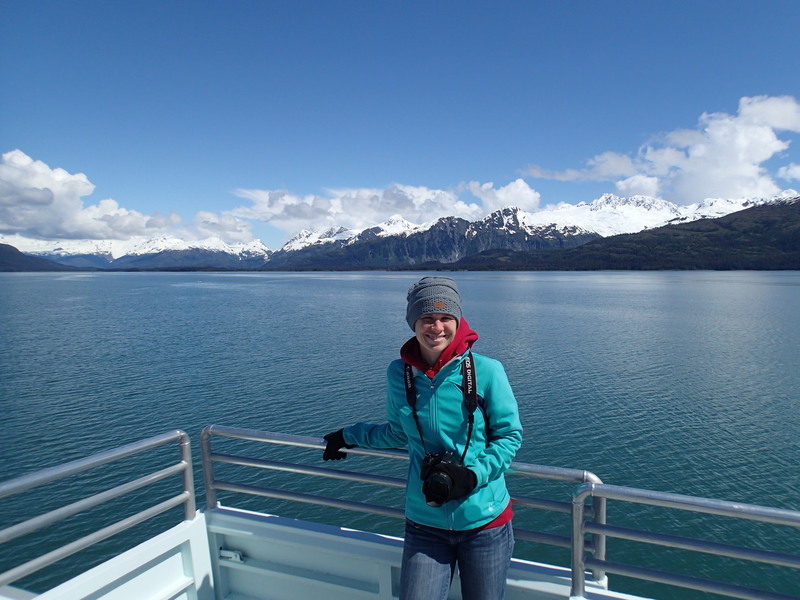 Jennifer Hellmann on a glacier cruise in the Prince William Sound. Prior to the conference, my lab mate and I did some exploring in Alaska, as neither of us had been there before. We went on a Glacier Cruise in the Prince William Sound. In addition to glaciers, we saw seals, porpoises, a humpback whale, and plenty of seabirds. 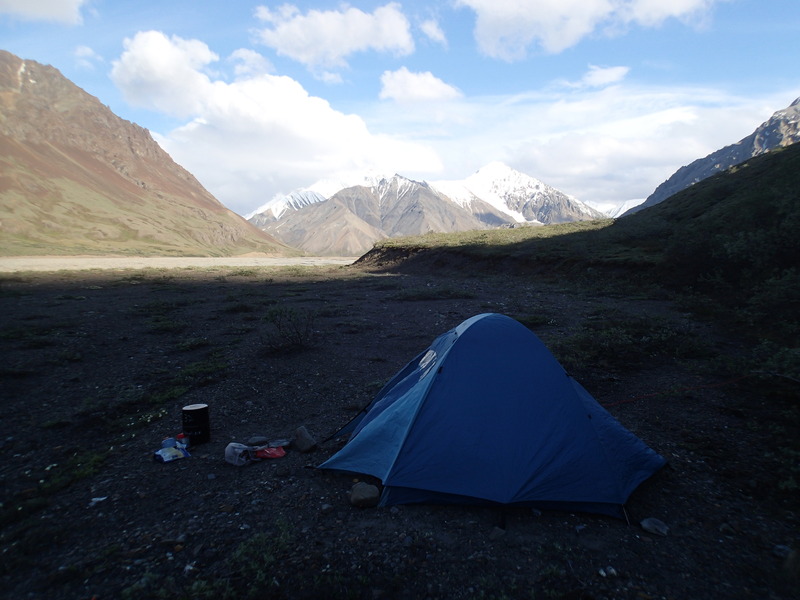 We also spent several days backpacking in Denali National Park. Aside from very rough winds, the weather was fairly nice, and we got to see beautiful scenery and lots of wildlife. The highlight of the time in Denali for me was seeing a pair of grizzly bears toward the end of our first day backpacking. During the summer semester I taught the second half of BIOL 1101 at Ohio State, an introductory biology course intended for nonmajors. As it was a summer course, enrollment was low (20 students), so I got to know the students fairly well. I enjoyed teaching this course a lot, and got to try a lot of activities I’d thought about doing but never had the opportunity to do. Towards the end of the semester, my students had the opportunity to Skype with Kira Cassidy, who is a researcher currently working in Yellowstone National Park on the Wolf Reintroduction Project. It was an exciting opportunity for the students to hear about a real-life example of the ecological principles they had learned in class. They enjoyed the discussion and Kira did an excellent job presenting her work and answering the students questions. 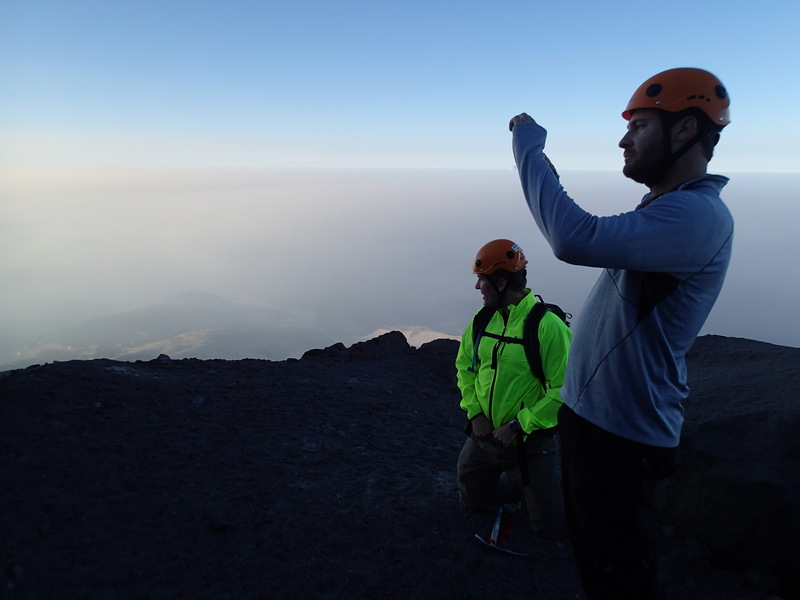 On Mount Hood with Greg (left) and Andrew (right). In August I attended my friends Jen and Anna’s wedding in the Seattle area, and took the opportunity to spend some time with friends in both Portland and Seattle. My friends Greg, Andrew, and I together attempted to climb Mount Hood. This season was not ideal for the climb, and despite starting before 3 am we saw several landslides and decided that conditions were too bad to continue. We made it within roughly 1000 feet of the summit; hopefully we’ll have a chance to try again soon! In Seattle, I got to see a lot of the city including the Seattle Aquarium and Discovery Park. The wedding venue was on Bainbridge Island, which was also beautiful. There I got to visit the Suquamish Museum, where I learned a lot about the tribes that had once lived in the Puget Sound. I’ve been teaching two sections of BIOL 1101 this fall at Ohio State. Both classes are much larger than any I have taught before, but it’s been a lot of fun to work with such large groups. I was skeptical it would work, but the active learning activities I developed for smaller classes have scaled up to the larger groups very smoothly. I’m looking forward to attending the SICB meeting in Portland in January, where I will be giving a talk on another recently published paper (Ligocki et al, 2015; Physiology and Behavior). In addition, I’m pursuing funding for a number of projects I’m excited to begin working on in the near future!